Barracuda Essentials provides multiple layers of email protection for Office 365, Exchange and G Suite. Unlike piecemeal multi-vendor solutions, Essentials can be set up in minutes to provide a single pane of glass to in a simple package that is easy to manage. “Barracuda products truly are very simple and intuitive to manage, which means our team has more time to address immediate student concerns." 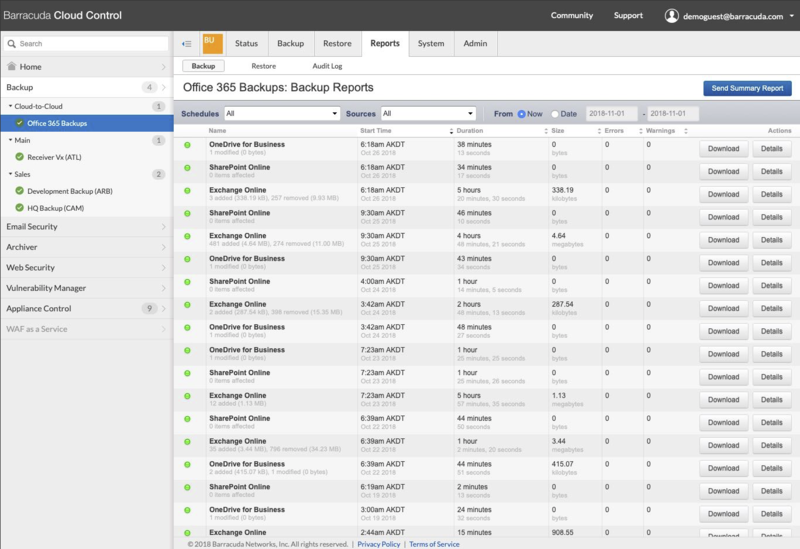 Leading Dutch IT Services Provider Gets Complete O365 Protection: A Search for Better Backup for Office 365 Leads to Comprehensive Security and Data Protection. Barracuda Total Threat Protection provides Wade Ford with comprehensive, real-time security. Complete protection for all threat vectors from an easy-to-use, centralized management system. Barracuda Essentials screens every inbound email for spam, viruses, malware, and advanced threats like ransomware. 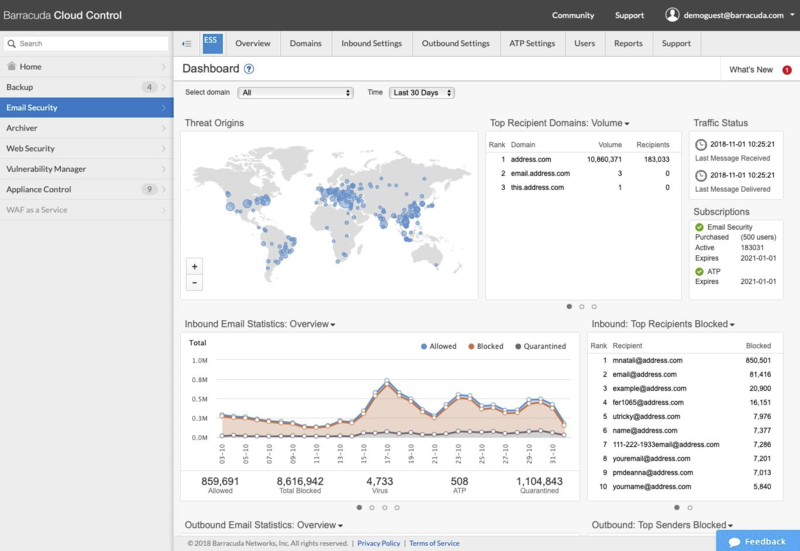 Outbound emails are filtered to prevent inadvertent distribution of malware and to prevent data leaks. 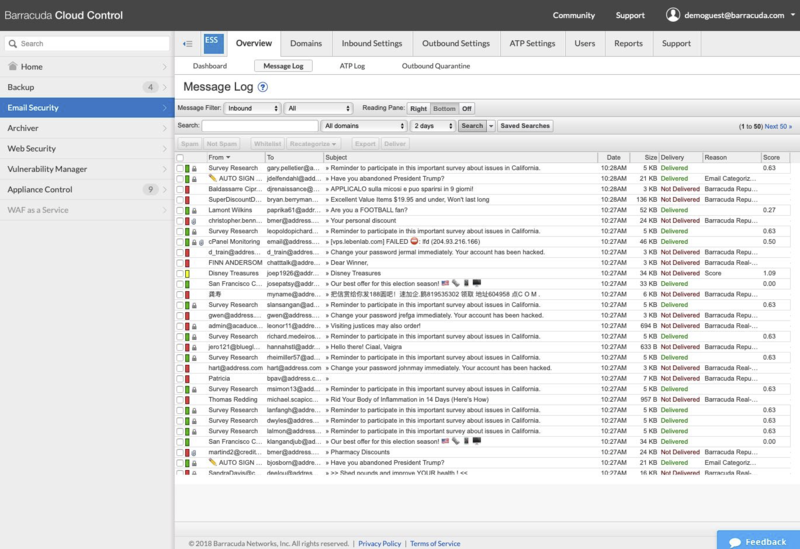 Every scanned message is logged so you can closely monitor how your email security policies are being enforced. Never lose an email due to deletion or mail server problems. Our cloud backup service protects every email and file with quick and easy cloud-based data recovery. 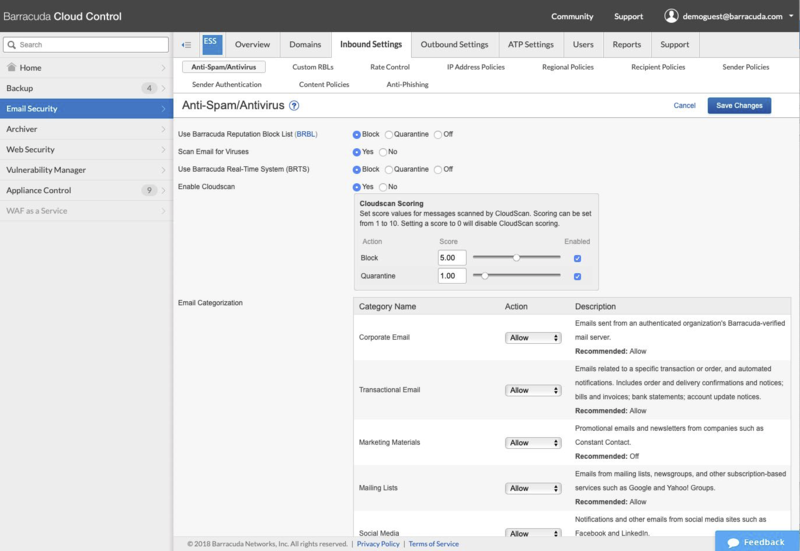 Automate Incident Response. 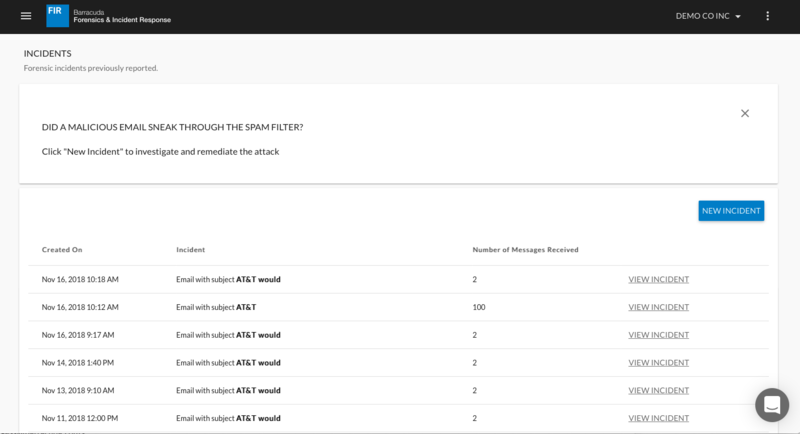 Send alerts to impacted users and remove malicious emails directly from users inboxes.